Happy Thursday everyone! I hope everyone is having a great week! A busy week, being first week back and it is flying by quickly! I have a student teacher for the next three weeks and he is loving getting involved in everything in the classroom. I have a new product for you today! 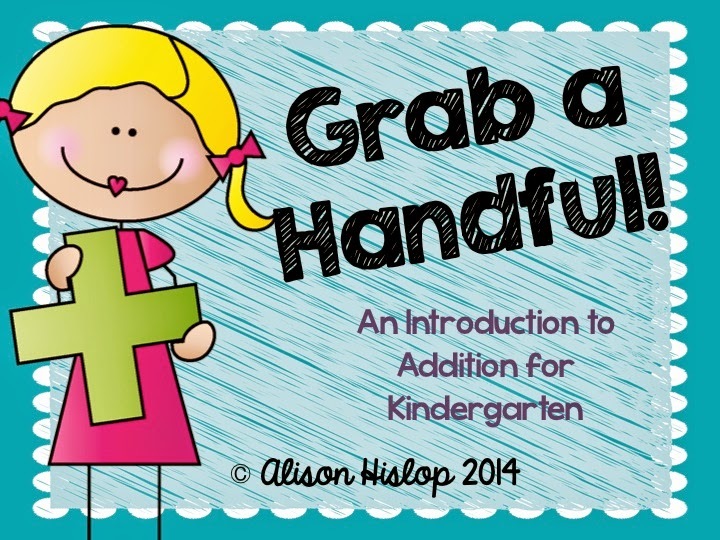 It's called Grab a Handful and is perfectly suited to introducing Kindergarten children to addition. Some Grade 1 and 2 invention children would also benefit from using this activity! Here's how it works. 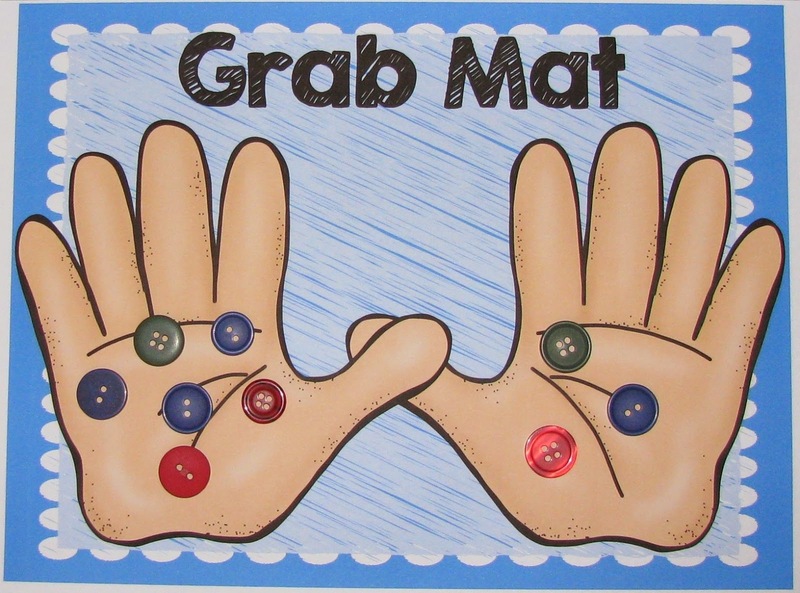 There is a "Grab Mat" in the pack - children grab counters and place on each hand. 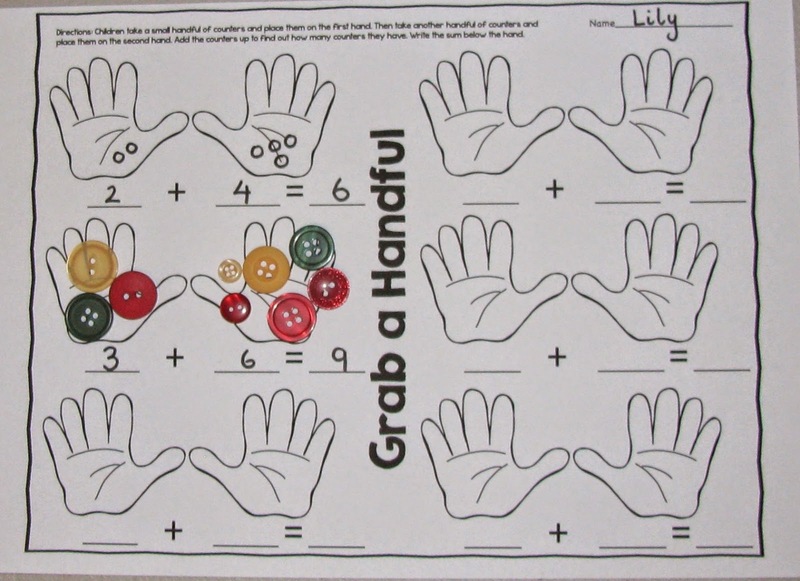 Children then count up the number of counters on each hand and find the total amount. 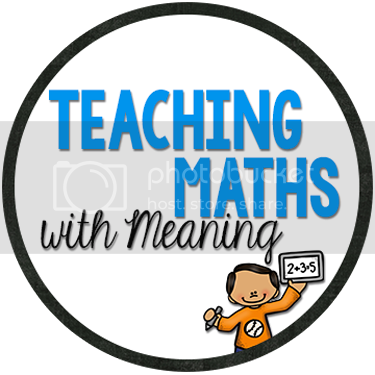 Use this mat in small group activities and intervention groups. Many children will require the continued practice of counting and adding together. When children are ready, then can then complete the worksheet independently. Children grab counters as they did on the grab mat, except this time children draw in the counters and write the numbers underneath to write the sum.